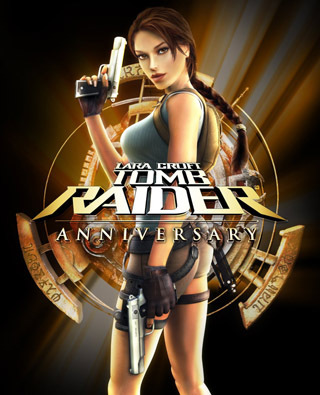 Lara Croft is an adventurer, world traveler, and archaeologist who seeks out tombs and relics, fuelled by an obsession to uncover the secrets of the great, ancient civilizations. Superb athlete, fluent in a dozen languages, and will stop at nothing to get what she wants. Winston's family has been with the Crofts for generations, and he has been the family butler since he was honorably discharged from the military in his late-twenties; just as his father before him. He moved into Croft Manor to stay as the only live-in staff when his wife died, before Lara was born. He tends to all Lara's household needs, going far beyond the duties of a traditional butler given Lara's unusual lifestyle and pursuits, but he has never disappointed her. His loyalty to Lara, her parents, and Croft Manor is beyond question. Larson is a former United States Marine Lieutenant with seven years Special Ops experience. He was given a dishonorable discharge after a violent disagreement with his commanding officer--the nature of which was never made public. Following his release from military prison, Larson put his military expertise to good use, forging an admirable reputation with private mercenary forces around the world. Recently he has taken a contract with Natla Technologies and that has brought him face to face with an old adversary from his past, Lara Croft. Pierre is one of Lara's archaeological rivals and in the history of the field, there is nobody that has chased the spotlight more than him. Publicly, he has been credited with several high profile archaeological discoveries, yet like Lara, he has been accused of tampering with the sites before informing others of his finds. Though he sells himself as the consummate archaeologist, in the circles of rich collectors he is known for what he is, a treasure hunter who is adept at finding what people want--for the right price. Pierre is good at what he does, but in the end he raids tombs for profit, not for any love of the mysteries of the past. Jerome "The Kid" Johnson was a small time gang leader in Los Angeles until his crew tried to car jack Jacqueline Natla's limousine. Natla's bodyguard, Kin Kade, eliminated the entire gang but spared the Kid at his employer's request; Natla needed a contact in the West Coast criminal underground and the fast-talking Kid fit the job description. The Kid holds a grudge against Kin Kade for the murder of his blood brothers but is just smart enough not to act on any retaliatory impulses. Kin Kade is Jacqueline Natla's bodyguard. It is difficult to know what hold she has over him because he is as brutal and vicious a killer as his criminal record shows. Kin Kade spent 15 years in jail after being apprehended by police in the middle of a vicious and disturbingly elaborate murder. He earned the name "Kold" in prison where his sociopathic behavior and the unexplained deaths of several cell mates resulted in the majority of his term being spent in solitary confinement. Despite all this, his tenure in lock-up only seems to have refined his innate talents and, against fervent protest from the prison psychiatrist. Jacqueline Natla is the owner and CEO of Natla Technologies, one of the world's largest electronics companies. She is the holder of several key computer hardware patents, and her research and development department is one of the industries most secretive and prolific innovators. Little is known about Miss Natla's private life other than she never gives interviews and rarely makes public appearances. Colleagues and business rivals alike say she is intimidatingly intelligent and a demanding perfectionist. A hideous creature with no skin, the doppelganger mysteriously shares the exact physical characteristics of Lara Croft (with limited intelligence). Possessing only the most basic primal instincts, the creature mimics the actions of its adversaries. Lacking conscience, reason, and any kind of soul, the doppelganger is at once both very dangerous and also quite vulnerable. Lord Richard Croft, Lara's father, was tutored at Eton in anthropology and archaeology. With the considerable wealth of the Croft family behind him, Richard spent his younger years mounting innumerable expeditions to historical sites world wide in an effort to support his unconventional hypothesis of a base culture that predated known history. Richard and his wife, Lady Amelia DeMornay, had Lara only a year after marrying. Nine years later, after Amelia disappeared in a plane crash, Richard sank further and further into obsession, consumed with discovering what had become of her. A few years later, he himself died while on a dig in Thailand.